James H. Cone, Martin & Malcolm & America: A Dream or a Nightmare (Orbis, 2012). Sadly, my education was incredibly light on the African American experience, much less black theology, so I knew very little about Malcolm X and not much more about Martin Luther King, Jr. before I read this book. I did know, however, that James Cone (now, sadly, of blessed memory) would steer me right, having read a number of his books previously to my great benefit. And he didn’t disappoint. Join Me at Homebrewed Christianity’s Theology Beer Camp! I’m going to camp: Homebrewed Christianity’s Theology Beer Camp! Tripp also assures me that there will be excellent custom brews to enjoy. I’m much more of a whiskey man than a beer man, myself, but Tripp has promised to put together a tasting menu for me to induct me into his world of hoppy delight. What’s that? What will I be talking about at Homebrewed Christianity’s Theology Beer Camp? I’m glad you asked! Some folks around Twitter have noticed that the most recent issue of the Karl Barth Society of North America newsletter contains extensive notes from my presentation to the society at the meeting of the American Academy of Religion in Boston in 2017. I’ve been sitting on video of that presentation since then, but didn’t want to publish it until the notes appeared in the KBSNA newsletter. But now you can view the video and hear me present the paper as if you were in the room (which a number of Tweeps were), growly voice and all. Just because DET has been unnaturally quiet for a while doesn’t mean that I haven’t been up to other of my usual tricks or that there hasn’t been stuff happening. Quite the contrary, in fact. 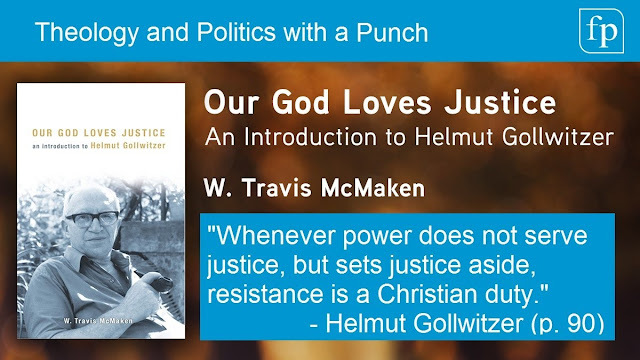 And this post will get you back up to speed on my book, Our God Loves Justice: An Introduction to Helmut Golwitzer. One: I appeared on Liam Miller’s podcast – “Love, Rinse, Repeat” – to talk about Gollwitzer, and the true socialism of the kingdom of God. Two: I joined Dean Dettloff and Matt Bernico on The Magnificast. Click here to listen! Three: I returned for another appearance on the Homebrewed Christianity podcast. Click here to listen! 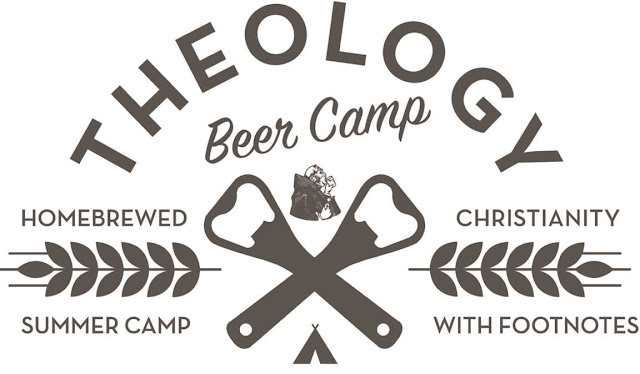 See you at theology beer camp? Four: #OGLJ was “briefly noted” by The Presbyterian Outlook. Five: Stephen Waldron reviewed #OGLJ for Reading Religion, an online publication from the AAR. What happened? I couldn’t even tell you at this point. My intrepid associate editor, Scott Jackson, and I simply ran out of steam. Or hit a brick wall of other work. Or whatever mental picture you prefer. At this point I’m trying to come to grips with the reality that it’s unlikely we’ll be able to mount a regular posting schedule again, perhaps ever. Time will tell. So DET is not over, but it has become and will continue to be more of an ad hoc thing. 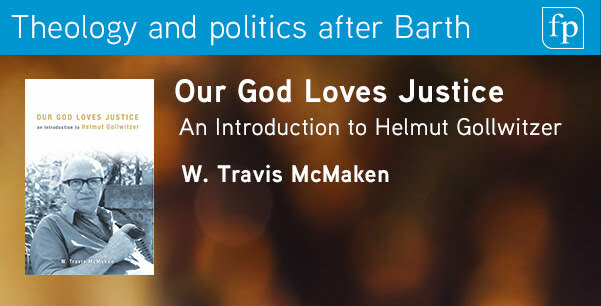 Many thanks to David Hunsicker, whom I have known low these many years, for his recent blog review of my book on Helmut Gollwitzer: Our God Loves Justice: An Introduction to Helmut Gollwitzer.